Engineers are gearing up to flush entry, descent and landing software from the Curiosity rover's central computer and replace it with programming optimized for surface operations, a complex bit of electronic brain surgery that will take several days to complete, mission managers said Thursday. 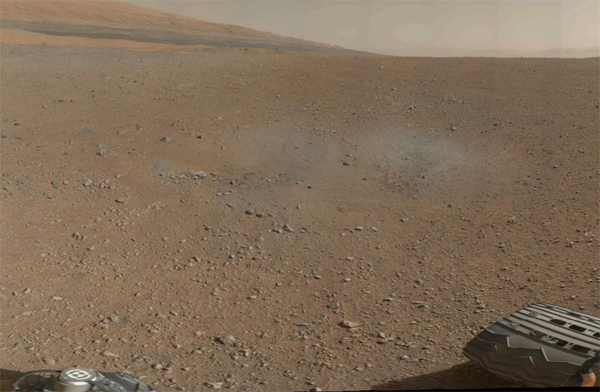 In the meantime, the rover has snapped its first 360-degree color panorama of its surroundings in Gale Crater and beamed down an initial set of low-resolution thumbnail frames that provide a hint of things to come. The full-resolution frames will be eight times sharper than the thumbnails, but they must be moved from the camera's memory to the main computer for later relay to Earth. "We don't see any operational constraint by this stuff being there," said mission manager Mike Watkins. "But it's a little unexpected. The EDL (entry, descent and landing) team ... didn't think they would kick up stuff this large. They're off looking at that. "The EDL guys, they have nothing to do now," he joked. "They need a problem to go start working on, right? So this is something for them to do. But as I mentioned, we don't see any impact to this." The panorama was shot amid preparations for the computer software transition, a move requiring engineers to uplink hundreds of files and thousands of commands. "Just like you upgrade the operating system on your home computer or your laptop or something, we're going to do the same thing," Watkins said. "We need a new flight software load that is optimized for surface (operations). ... We're going to do that starting day after tomorrow." In the meantime, scientists are carefully evaluating one-mile by one-mile quadrangle maps of Gale Crater to find the best route from Curiosity's landing site to the base of Mount Sharp, a three-mile-high mound of layered terrain that represents one of the major scientific objectives of the two-year mission. Photographs taken from orbit indicate a possible route through dune fields near the base of the mound that may provide a route upward. But Dawn Sumner, a geobiologist at the University of California-Davis, said scientists will make a thorough assessment before picking any course of action. "It's very exciting to think about getting there," she told reporters Thursday. "But it is quite a ways away. We also want to be able to take the science we can do where we landed and integrate that into the mission as well. 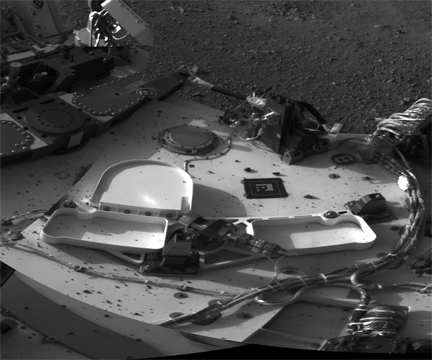 By chance, Curiosity landed in quadrangle No. 51, which was mapped by Sumner. She jokingly called it "area 51" in a post-landing tweet. "What the science team is now doing, we have these individual maps and we started integrating them to get the broader picture and also investigating the rocks and craters and patterns around where Curiosity is now," she said. "We'll use this map to find a path from where we landed to the main target at the base of Mount Sharp, which is south of where we landed. "So we'll drive on the northwest side of the dunes and go through a break in the dune field. But on the way, we're going to have a lot of interesting geology to look at. 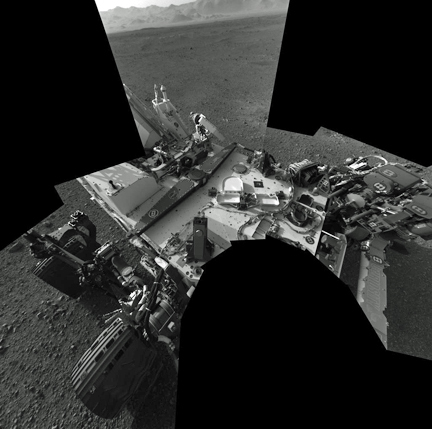 And so the team will be balancing observations and scientific investigations on our drive but also still get to the base of Mount Sharp."